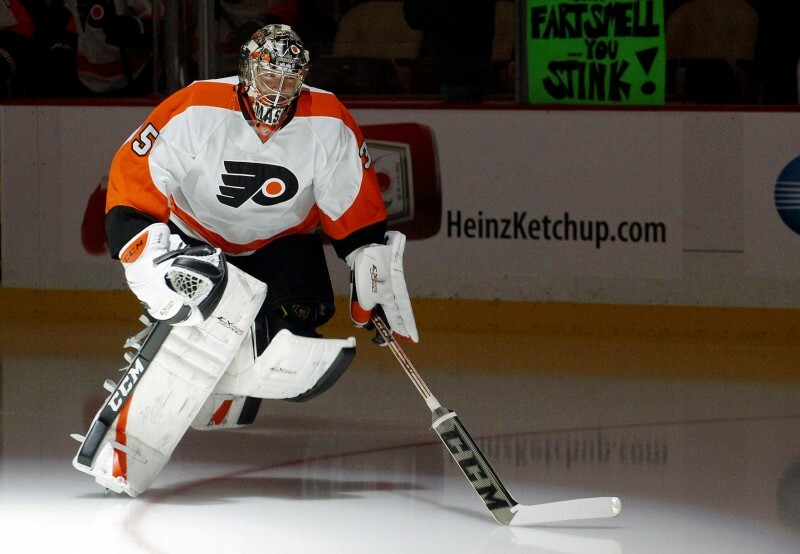 The Philadelphia Flyers have long been an organization known for it’s goaltending issues. However, over the past few seasons the Flyers finally seem to have found some stability in net. Steve Mason, acquired at the 2013 trade deadline, has put together two fine seasons as the starter giving the Flyers confidence that they have found a number one goaltender. Mason finished last season with the third best save percentage in the NHL, .928. 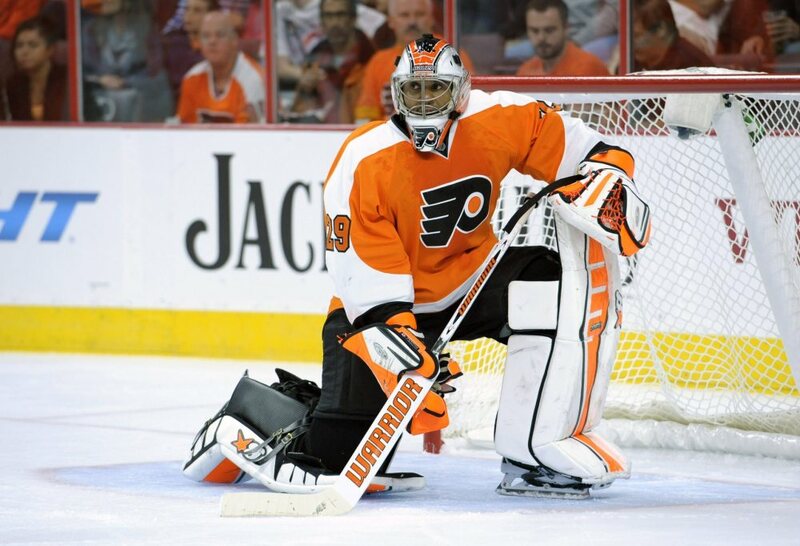 Ray Emery, whose contract expired on July 1st and is still unsigned, has been Mason’s back up for the past two seasons. While he was fairly reliable in 2013-14, he had a rough 2014-15. Going 10-11-7 with a .894 save percentage was a far cry from the excellent performances that Mason consistently gave the team. Although Emery has been a good soldier and role model off the ice, the time came this summer for the Flyers to move on from Emery and find an on-ice improvement. Therefore, Ron Hextall signed goaltender Michal Neuvirth to a two year, $3.25 million contract, filling the organizational void. When taken at face value, Neuvirth’s record last season (7-20-4) was not very good. But, when one considers that he spent most of the season on one of the worst teams in NHL history, it is easy to understand why his record might not look stellar. Due to factors outside of their control, it is often misleading to judge a goalie based upon his win-loss record. However, a goalie typically has a lot of control over his save percentage. Neuvirth posted a commendable .914 save percentage through 32 games last season. Neuvirth is an accomplished NHL back up goaltender who, except for his rookie season, has never seen his save percentage drop below .900 during a single season. His career save percentage is .912 and he has played anywhere from 13 to 48 games during the course of a single season. Therefore, he is capable of both filling in for a long stretch of time if Steve Mason gets injured or sitting out for a while if Mason gets hot. When comparing Neuvirth to Emery, it is clear that the Flyers will be in better shape in 2015-16. Over the course of their careers, Neuvirth (.912) tops Emery (.906) in terms of save percentage. It is also important to note that at 32 years old, Ray Emery is long past his prime. His save percentage has dropped each of the past three years. Neuvirth, on the other hand, is only 27 years old and is in his prime. While Emery is on his way down, Neuvirth should be able to duplicate his stats from previous seasons. Speaking of last season, both Emery and Neuvirth appeared in roughly the same number of games (Emery 31, Neuvirth 32). Because he played on a better team, Emery actually posting a slightly better win-loss record. However, Neuvirth saved about two percent more shots than Emery. Emery stopped 678 out of 758 shots last season, giving up 80 goals. Neuvirth stopped 975 out of 1067, giving up 92 goals. If we adjust Emery’s shot totals to those of Neuvirth, Emery would have stopped roughly 954 shots out of 1067, which amounts to a 21 goal difference. Over the course of 30 games, that would account for about 0.7 goals against per game. Although it is difficult to predict goaltender performance on a season to season basis, there seems to be a fair case that Neuvirth will be far better in 2015-16 than Emery was in 2014-15. His career numbers are better than Emery’s, while he is also in the prime of his career. When comparing last season’s numbers, it is hard to argue that Emery would be able to compete with Neuvirth. Improving the back up goaltender position will likely be magnified because Steve Mason is bound to come back down to earth next season. Despite his detractors, Mason revived his career in 2015-2016 and proved that he is a top tier goaltender in the NHL. With that said, it is almost unheard of for goaltenders to have multiple seasons in a row in which they eclipse a .925 save percentage. In recent memory, goalies like Henrik Lundqvist, Carey Price, and Tuukka Rask have accomplished such a feat, but even two of those three goalies did not surpass .925 last season. Mason, who should continue to be a top tier goalie even if his stats drop a bit, will snap back to reality. But the Flyers should be able to offset some of those effects with the addition of Neuvirth. All in all, Neuvirth is another smart, cheap addition that should improve the Flyers for the next two seasons. Ron Hextall should be given a lot of credit for this move.